Take charge of your recruitment process and make data driven-decisions. We track, measure and asses all of our campaigns to give you the most valuable and user-friendly information to help in your future campaigns. See what data you can expect from our services. 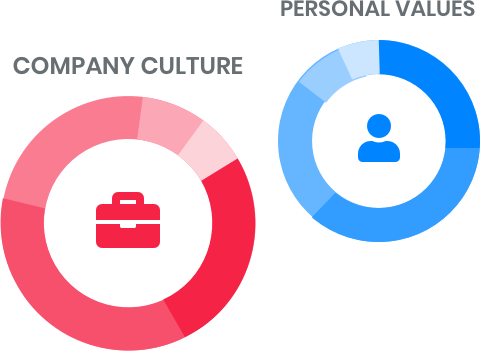 Our influencer campaign, used individually or in combination with other services, can help you spread your employer branding message whilst identifying what type of content and topic caught on and to what audiences. 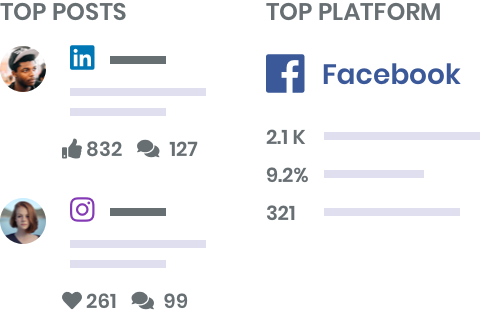 ZmashBot analytics applies to both Career Solutions and Recruitment Marketing campaigns. 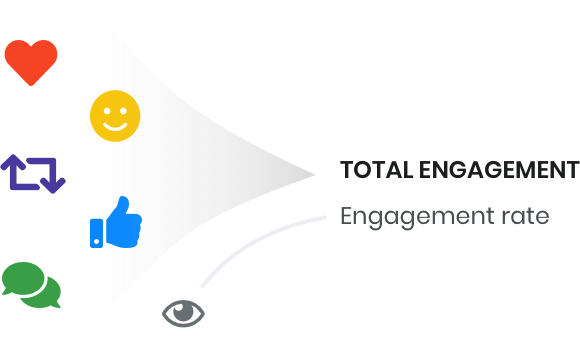 You can choose to change the conversation flow of ZmashBot and unveil information specific to your company. 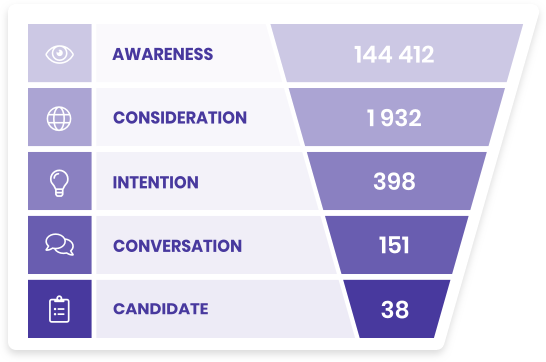 The flow funnel shows you data on how your potential candidates are going through the application process. Find out & optimize your custom flow. 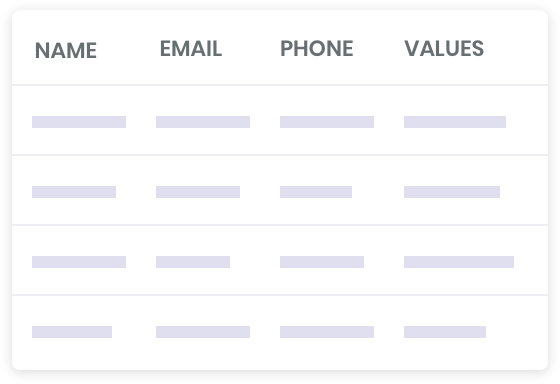 As you can choose which values you would like to integrate in the flow; the charts will always change depending on that. You will receive a full candidates list with all qualified ones being on top of the list with the highest scores. In case you opt for Zmash creating a campaign landing page, we offer extra information. We use Google Tag Manager and Google Analytics to track clicks. Custom links are always used to allow us to track the visitor origin. Website analytics illustration Created with Sketch. 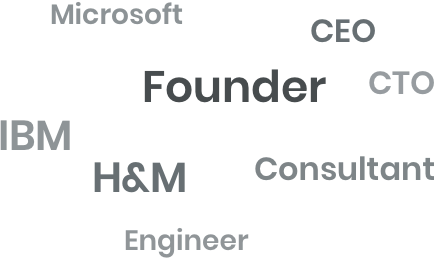 These are some of the companies we worked with.